Metro Impact Resistant bollards are robust and incorporate all the passively safe characteristics associated with our entire bollard range. 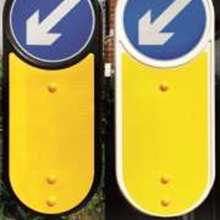 Designed to meet current UK Highways Regulations, the Metro Biollsard can be supplied as a single or double aspect sign and is available in black, white or grey polypropylene. 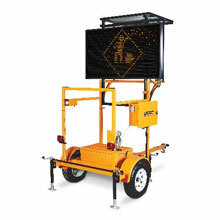 Falling outside the scope of the CPR, the TMP Metro does not require a CE Mark for use on the UK Highways but does comply to EN 12767:2007 “Passive safety of support structures for road equipment”. 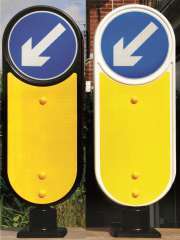 Incorporating a patented base system the sign is able to withstand impacts and our unique anti-twist mechanism – ensures correct realignment with the traffic following collision. 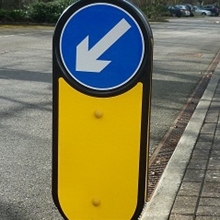 Independently tested, the Metro Bollard meets the basic requirement of a non-harmful small support structure according to level NE4 of the above Standard. 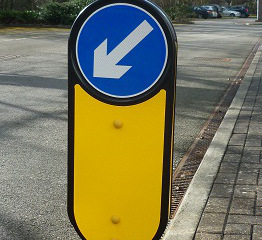 These passive safety features, the quick and easy installation and low onward maintenance helps the Metro Bollard improve safety on the highways for all road users.